Did you know about the interesting piece of street furniture in the cul de sac next to the Red Lion Pub? 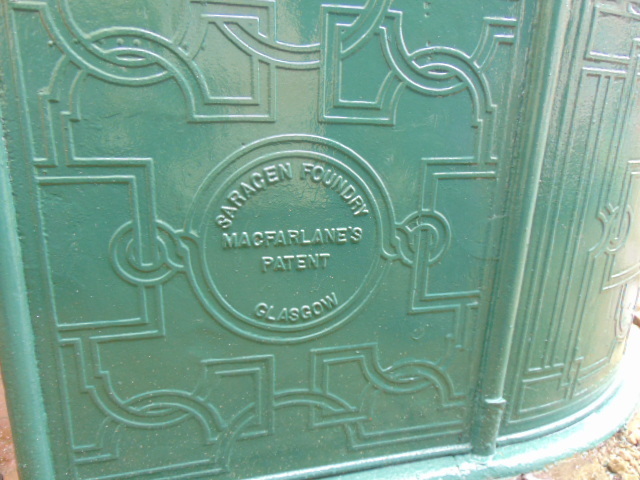 This is a fully functioning Edwardian gentlemen’s urinal, built in 1903 and coming from the Reading Tramway. 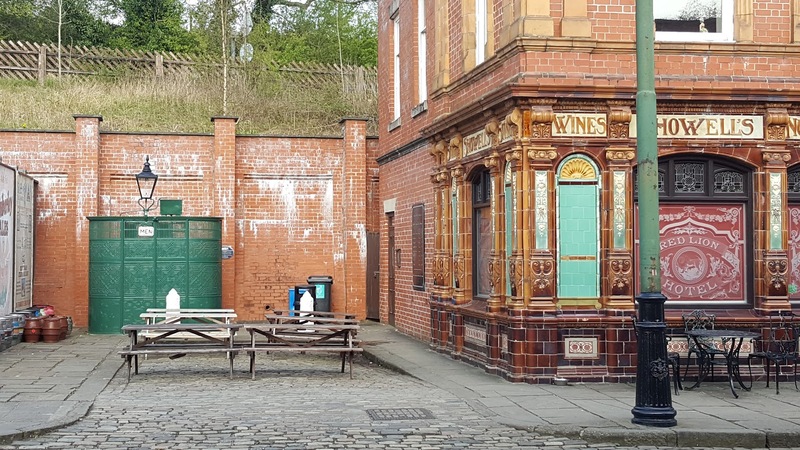 Serving the Erleigh Road terminus for over 50 years, it was saved by Society member Derek Redmond and has been restored to full working order and placed next to the Red Lion pub. The urinal was saved over 30 years ago due to the efforts of Society member Derek Redmond, who had been keeping a watchful eye on it, whilst it was still in Reading. It is made from cast iron, and was placed in storage in Derek’s garden and garage, whilst he worked on restoring all 85 pieces of it to its former glory and then having it relocated to and situated at the Museum. 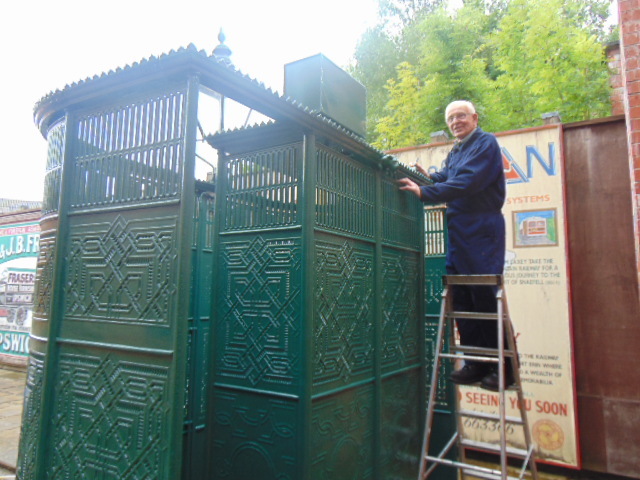 In the last twelve months, Duncan one of our regular volunteers here at the Museum, has taken up Derek’s mantle and has been giving the urinal some much needed attention to keep it in good working order. The urinal even has an award, which you can see on the plaque next to it. Give it a try for size next time you are in the Red Lion pub, or just wandering past. Let it “transport” you back in time…. See what I did there?